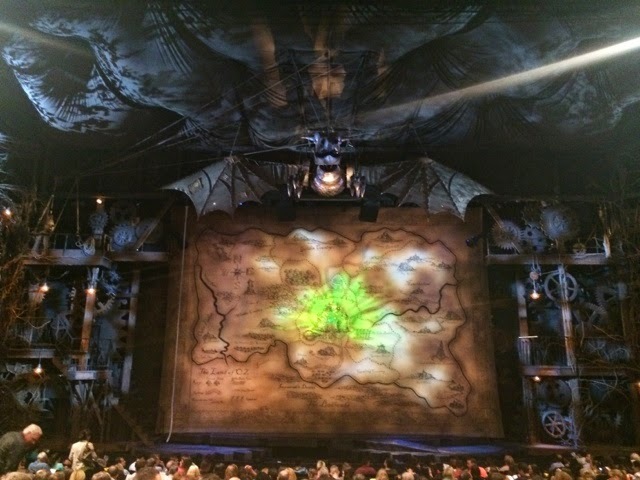 The agenda for one of the nights at New York City, was the Broadway musical “Wicked” on the Theatre, “Gershwin”. As always the eternal question for us girls popped out during the day, what to wear? I wanted to look elegant but not overdress. It took me a while to decide between all the beauties from my collaborators. Having in mind I was going to a Broadway Musical, I decided for a white stylish high waisted skirt from the young designer Margarita Alvarez. A contrasting black blouse from Fashion Show District created my look for the night. Heels always work best with high waist skirts since they add length to your legs, while creating a slimming silhouette. The Vince Canuto beauties from Novus Shoes blended amazingly with the outfit. Last but not least I spiced it up with a long yellow necklace from Amazonas accesorios and a delicate arm temporary tattoo from Soul Tatts, adding to it a little bohemian look. Wicked was fabulous!